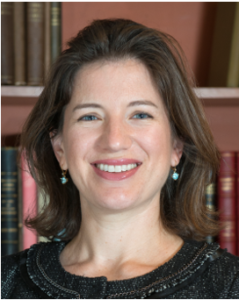 Julie Levison, MD, MPhil, MPH, FACP, is an Assistant Professor of Medicine at Harvard Medical School, and is board certified in infectious diseases. Her clinical interests are in general infectious diseases, HIV medicine, and immigrant health with a focus on a team-based, patient-centered approach to delivering infectious disease specialty care in the community setting. Her research focuses on understanding and addressing disparities in HIV outcomes in minority populations with specific attention to immigrant populations. She is principle investigator of a K23 career development award from the National Institute of Mental Health to develop and evaluate a community health worker intervention to improve engagement in HIV care in Latino immigrants in the greater Boston area. She has developed novel tools to leverage the electronic medical record for HIV outcomes research with immigrant populations. Working in partnership with community-based organizations and health care providers, Dr. Levison focuses on developing effective interventions to improve HIV care and treatment in Latino immigrants. She is an active member of the Infectious Disease Society of America and the American College of Physicians, where she is a Fellow. She is also a Research Scientist in the National Hispanic Science Network. Dr. Levison was named to El Planeta’s Powermeter 100, a list of Massachusetts’ 2017 Most Influential People for Latinos. Dr. Levison is the recipient of the Arnold Gold Foundation Leonard Tow Humanism in Medicine Award from Harvard Medical School and has spoken nationally and internationally on physician responsibility in the care of survivors of torture. Levison, J. H., Bogart, L. M., Khan, I. F., Mejia, D., Amaro, H., Alegría, M., & Safren, S. (2017). “Where It Falls Apart”: Barriers to Retention in HIV Care in Latino Immigrants and Migrants. AIDS patient care and STDs, 31(9), 394-405. Levison, J. H., & Alegría, M. (2016). Shifting the HIV training and research paradigm to address disparities in HIV outcomes. AIDS and behavior, 20(2), 265-272. Levison, J. H., Regan, S., Khan, I., & Freedberg, K. A. (2017). Foreign-born status as a predictor of engagement in HIV care in a large US metropolitan health system. AIDS care, 29(2), 244-251.